As the daughter of two NIU professors, Cathy Doederlein grew up on the DeKalb campus. As a regular visitor to her father's classroom, she idolized the bright, friendly students she met there. At the time, she had no way of knowing that those experiences would inspire her lifelong commitment to NIU. Today, Doederlein’s love for NIU and her passion to see NIU students succeed is evident to all who meet her. It is this love and passion, combined with a desire to give back, that inspires her to invest in NIU through gifts to the NIU Foundation. 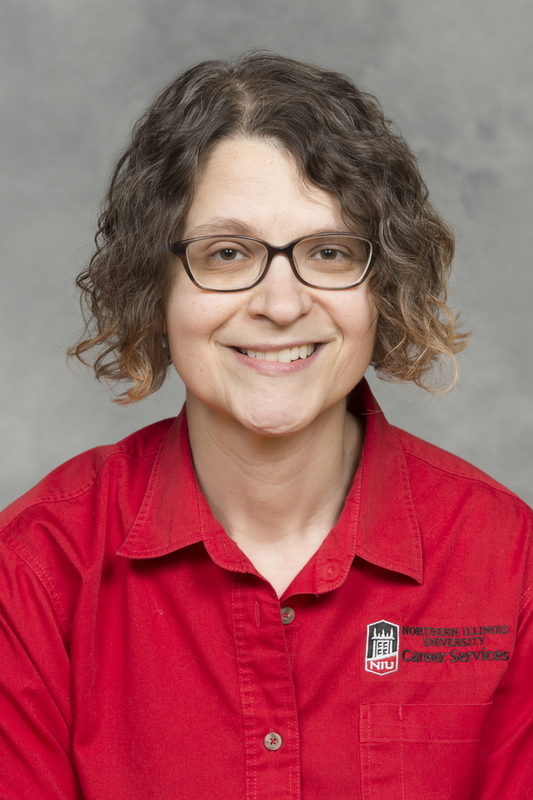 Doederlein is the director of internships and external relations for NIU Career Services. While she began working at NIU in 2011, her connection to the university started long before then. Her parents came here as professors in 1969 and she spent her childhood attending events across campus, sitting in on her dad’s classes and helping her mom with commencement. Later, she attended NIU as both an undergrad and graduate student. Following her graduation, Doederlein took a position as a human resources manager with the Target Corp. She also made her first donation to NIU. “I wanted to give back to my academic program and also wanted to support NIU women’s basketball. I have worked to provide continued support to NIU through the years because I believe strongly in the mission of our institution, and I believe in our students,” Doederlein says. During her 10 years in the corporate world, Doederlein continued her connection to NIU through regular gifts to the university and by frequently returning to campus to participate in recruiting activities as part of her role with the Target Corp. It is no surprise then that when an opportunity arose to work at NIU as the coordinator of internships in the humanities, Doederlein jumped at it and hasn’t looked back. “I can say it has absolutely panned out to be a true dream experience. Even with the challenges we have faced as an institution, I always love coming to work every day, thanks to my amazing colleagues and thanks to the tremendous students with whom we get to interact on a daily basis,” Doederlein says. It’s the hard work and determination of these students that Doederlein says is one of the things she loves most about NIU. “I love getting to see our students succeed. We have a tremendous student body, and their tenacity in pursuit of their goals is inspiring,” she says. Doederlein hopes that other faculty, staff and alumni feel that they too are Huskies forever and that they will pay it forward to current and future Huskies when the opportunity arises. “So many of our students are paying their own way through college, with little financial support from anyone else. I have so much respect for their determination and hard work to make that happen and hope my contributions can give back to that in some small way,” Doederlein adds. The NIU Foundation is currently in an initiative to raise unrestricted scholarship dollars to provide funding for NIU’s hardworking, determined and grateful students. You can join Doederlein in supporting NIU students by making a gift to the NIU Foundation by visiting go.niu.edu/give2niu today.